Welcome to the Humane Society of Alamance County! The Humane Society of Alamance County is a non-profit, animal welfare organization whose mission is to partner with our community to educate and encourage compassionate citizenship, enrich the lives of companion animals and promote responsible pet ownership through services designed to reduce pet overpopulation and increase pet retention and re-homing efforts. Our vision is to transform how society cares for companion pets through adoption, spay and neuter programs, and humane education. Founded in 1971 to develop and implement animal welfare programs and services within Alamance County, the HSAC has continued to evolve to become one of the leading animal welfare agencies in the area. We receive no financial assistance from local, State or Federal agencies. Unlike funded agencies, we survive on donations and support our organization through fundraisers and awarded grants. Our five core services offered to the community are the Low-Cost Spay and Neuter Program, Emily's Fund (Medical Owner Assist), No More Empty Bowls (Food Pantry), our Rescue and Foster Program, and Community Education. ​Our main purpose has always been to stop the overpopulation of domestic animals. We have steadily grown as a result of our volunteers' dedication to our community and have helped thousands of pets over the course of 47 years. Please Note: The Humane Society of Alamance County (HSAC) is not, in any way, affiliated with the Humane Society of the United States (HSUS) or the American Society for the Prevention of Cruelty to Animals (ASPCA). Donations made to the HSUS or the ASPCA do not serve our rescue. All donations made to our organization, whether they be in monetary or item form, directly benefit our local pets in need. The HSAC has offered its low-cost spay and neuter program to local residents for more than two decades. HSAC operates independently with the support of generous contributors and volunteers. We facilitate spay and neuter surgeries through partnerships with several of Alamance County's veterinary clinics and hospitals. ​To learn more about our spay and neuter program, click here! Since 2001, we have been able to rescue countless homeless or abused dogs and cats. 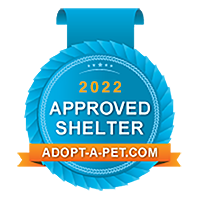 The majority of our animals are rescued from Alamance County's animal shelter, Burlington Animal Services, as well as other nearby shelters. We also take in animals directly from community members when they are unable to continue caring for them. The numbers of animals we save depends on the funds we have available to cover the cost of rescue, as well as volunteers willing to act as foster parents until permanent homes can be found. We are very fortunate to house some of our foster cats and kittens at the Luv-A-Pet Feline Adoption center within the PetSmart located on University Drive in Burlington. ​Want to become a foster, volunteer or both? Click here! Emily, a mixed breed puppy, was brought to us after her owner noticed she was bleeding every time she had to urinate. The HSAC launched the "Emily's Fund" campaign in January of 2014 with the hopes of raising enough money to cover Emily's ever growing medical expenses and give her the best possible chance at survival. Sadly, despite our best efforts and those of the community that rallied behind her, Emily succumbed to her condition. In the face of her severe anemic state, Emily remained such a happy little girl regardless of how horribly she must have felt throughout her medical ordeal. We chose to re-name our owner medical assist program "Emily's Fund" in honor of her fighting spirit! To this day, the program helps qualifying, low income families with unexpected vet bills due to illness or accident. Through grants and generous donations from the public, the HSAC has assisted multiple families since 2014 and we hope to be able to help many more in years to come. Please call our office for more info! Education is a key HSAC effort! We strive to increase public awareness of pet owners' responsibilities through our Companion Quarterly newsletter, Quick Bark email updates, our social media pages and information booths at public events. We also offer a slideshow presentation about HSAC that we offer to civic groups. Finally, volunteer Humane Educators conduct programs for schools, churches, Scout troops and other children's groups, teaching young people about responsible pet care. To schedule a Humane Education event for your civic or children's group, call 336-438-2023 or e-mail us at hsacinfo@gmail.com. ​Do you love and care for your pet but find it has been tough to afford all of their food? Well, we're here to help! "No More Empty Bowls" is our food pantry initiative to help keep pets and families together, even through tough times. We offer low income families a small amount of food (for up to two pets per household) as a supplement to what they can provide themselves for their animals. To benefit from our program, families may apply at our office. We do require proof that all pets joining our program be spayed or neutered and have a current rabies vaccination on file. We also require the applicant to provide verified proof of income and/or to be enrolled in an NC State Aid program such as EBT, Social Security or Disability Income. PLEASE NOTE THAT FOOD PICK UP DAYS ARE THE 1ST & 3RD FRIDAYS OF THE MONTH, ONLY.